Some Muslim families in the town of Gitega complain about the arrests made by the police against some women a week ago. They were accused of illegally going to Gulf countries. A mosque in Nyamugari district where women are mostly recruited to go to Gulf countries. 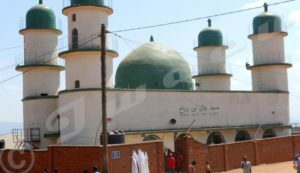 Some Muslim families in the neighborhoods of Gitega town say they are persecuted in their own country. The arrests made by the police and the administration against some people are likely to prevent them from trying their luck in other countries.”It’s like they do not want to see us develop. We have been oppressed for a long time. Is it an offense if a Muslim chooses to earn an honest living outside the country of birth?” wonders Hidaya, adding that her daughter has built a beautiful house after she has gone to Oman twice. Hidaya says the latest arrests in the Nyamugari neighborhood which targeted some Muslim families are unfair and inexplicable. “It’s unwise to arrest someone just because they have a passport. Since when having a passport has become a crime? “she wonders. Ashura, another Muslim woman, says that in the Muslim neighborhood, most girls and women spend their time doing housework. She says they want to challenge their lifestyle and earn a living without depending too much on their husbands. They say they are prosecuted because they are Muslims. “Those who go to Europe or America are not prosecuted but when it comes to a Muslim woman who comes back with a car or with some millions of money, it becomes a matter of state,” says Ishmael, a Muslim met before the mosque. For these girls and women, immigration is not a choice but a solution to the problems related to the socio-economic situation of the country, poverty and especially unemployment. Hussein Butoyi, head of the Gitega zone, says there is no discrimination. “Only those who advance these allegations seek to hide the truth. Human trafficking must be restricted”. Butoyi says the administration has to collaborate with justice and the police to apprehend anyone suspected of breaking the law. “If some people were arrested, it was for some reasons and not their religious affiliation,” he said. 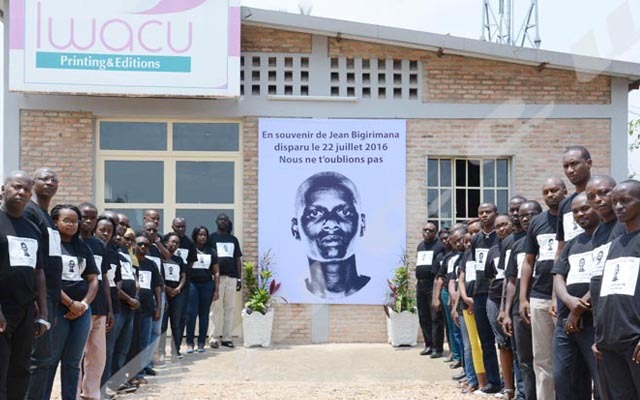 He also says those women have the right to go to earn a living outside Burundi but have to do it in legal ways. “I’m not against those women who leave the country to try their luck elsewhere but those who want to go to Saudi Arabia or elsewhere have to do it officially, “says Butoyi, adding that most of these young ladies who illegally go to Gulf countries encounter difficulties once they arrive there. Despite the police arrests and administration warnings, most of the women say they are ready for anything to earn a living.